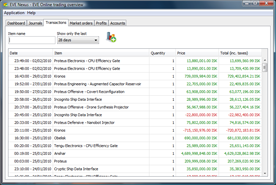 EveNexus is a free trading tool for the popular MMO, EVE Online. Information about your transactions, journals and market orders are imported by EveNexus from EVE Online’s API. It has been designed to provide the most valuable information while still keeping things well-organized. 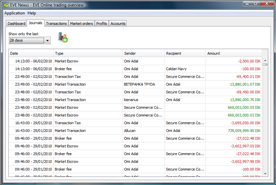 Imports and displays Journal entries, Wallet transactions and Market orders. 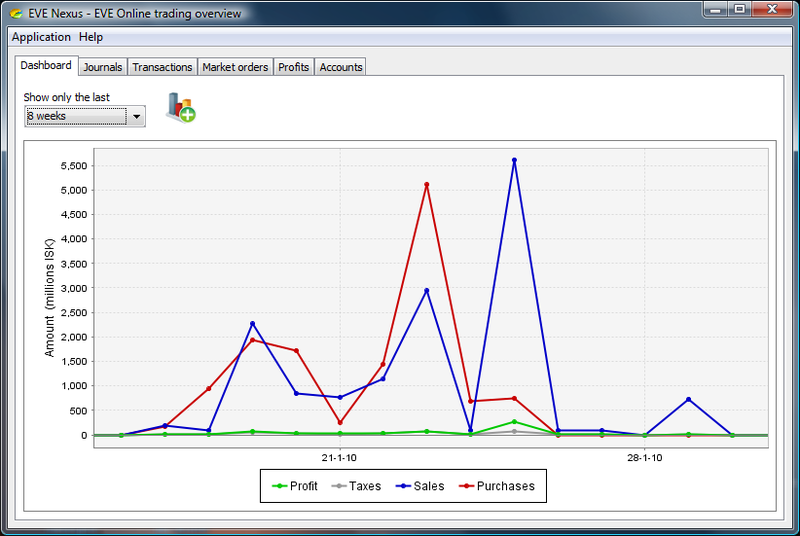 Calculates profits on an inventory based system, making it more accurate. 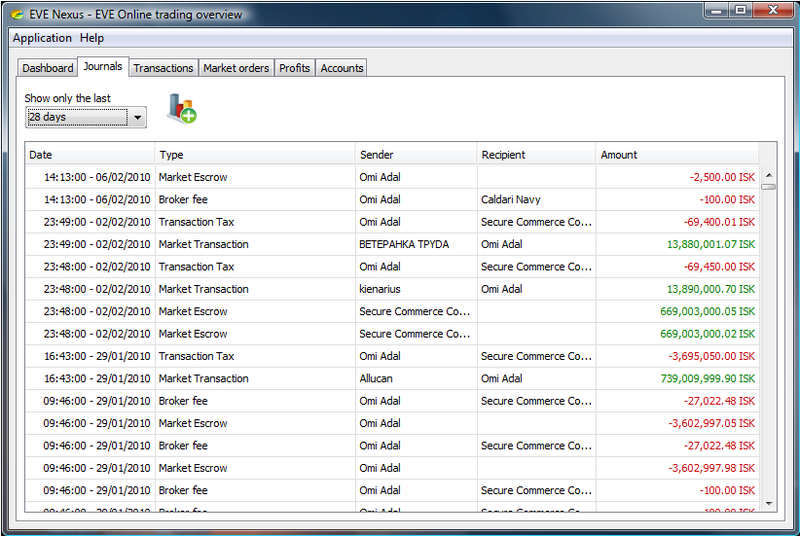 EveNexus also calculates things like Transaction Tax and Broker Fees. 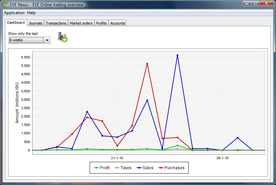 Additionally users can display or hide information in reports to their liking. Users can backup and restore their own data with EveNexus. When errors occur, the user is able to report it with a single click. 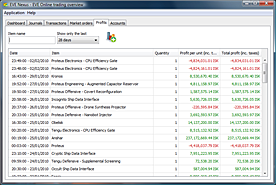 EveNexus is written fully in Java, but currently only supports Windows Operating Systems. To run EveNexus you will only need a Java JRE 6 or better. Which can be downloaded here. What API does EveNexus require? Like any other EVE Online trade application, EveNexus requires your character's FULL API credentials. Not yet, but the plan is to head down that road at some point. I would like this project to continue even when I'm hit by a bus. How active will EveNexus be supported and updated? 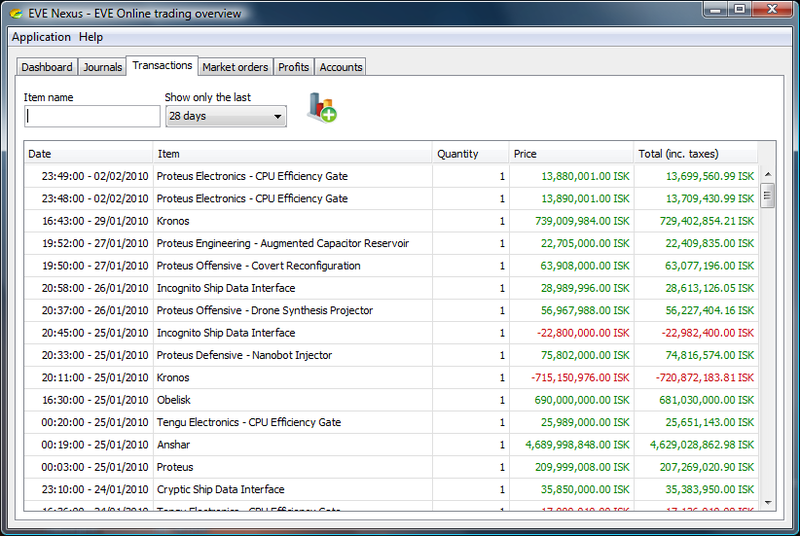 The goal is to release a new EveNexus version with every EVE Online expension or update. Also the plan is to incorporate user suggestions along the way. Does it have any bugs? All software has bugs, especially newly developed software. But when EveNexus encounters a filthy bug, the user will be notified with a popup. He or she can then notify me of this bug with a single click. Thereby improving the next version. Please note that if you're sending in a bug report, please include detailed info like, the versions of your operating system, EveNexus, your Java JRE, and a detailed description of the bug, and how it occurs.